Sahara Desert Tours with locations tailored to give you the choice of different daily activities. 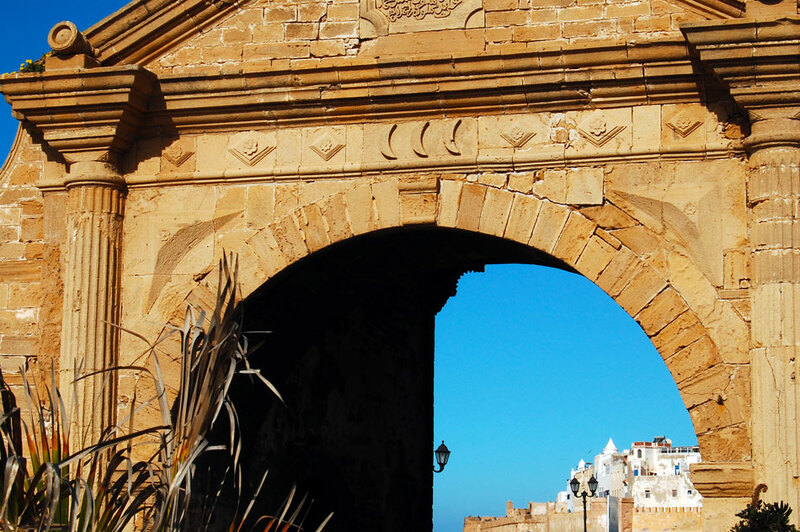 Stretch yourself visiting Essaouira, Dades valley, the southern Kasbahs and Marrakesh. Your 8 night “Sahara desert Tours” adventure starts in Essaouira, an established hip African destination that’s now receiving more direct flights from Europe cutting down on airport transfer times giving you more time to enjoy yourself. During your two full days here you can choose from a variety of activities: horse riding and camel riding, taking a Moroccan cooking class, playing a round of golf, photography lessons, kite surfing, and it’s also a great place to learn the art of bartering for handicrafts – both Thuya wood and Argan oil are native to here and there are also excellent leather goods and spices to buy. The annual festival of “Gnawa music”, where many musical groups come from different parts of Africa and the world is held in late June. It’s a 3 hour journey from Essaouira to Imlil and taking the back roads you’ll travel through countless Berber villages slowing down for herds of goats and sheep whilst the High Atlas snowed capped peaks get ever closer. Snow remains on the highest peaks up until June. Once in Imlil you’ll see some remarkable views of Mount Toubkal, the highest peak in North Africa. Imlil is the gateway village to Mount Toubkal and the staring point for short and long day hikes with an experienced guide. 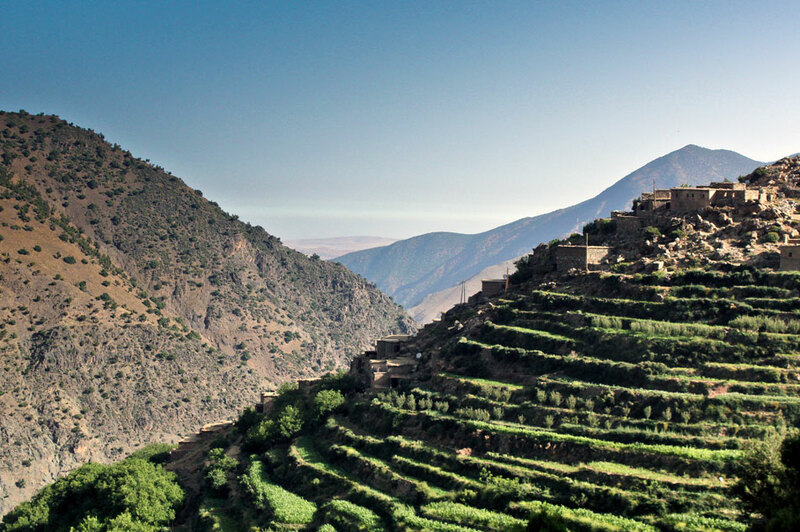 You’ll have the chance to visit waterfalls and stop for lunch in a Berber village. Mules are also available for children. There also ski slopes close to Toubkal but it’s snowboarding that offers the best possibilities during the winter months. The Dades valley is stunning location of rock formations, fortified palaces and a magnificent valley of wheat, fruit and silver birch trees. Known as “The valley of a thousand kasbahs” here you can trek in another world, choosing your own pace and grade. For most of the year there’s the opportunity to visit local nomads in their cave dwellings. The Skoura palmearie nestles close to the Atlas mountains. A vast area of palm groves harbours narrow tracks and crumbling Kasbahs. The palmearie can be explored in two ways: Quad biking is an exhilarating way to navigate the tracks. Explore yourself – routes marked in colour or hire a leader. For a more gentle way to get about, hire a bicycle. 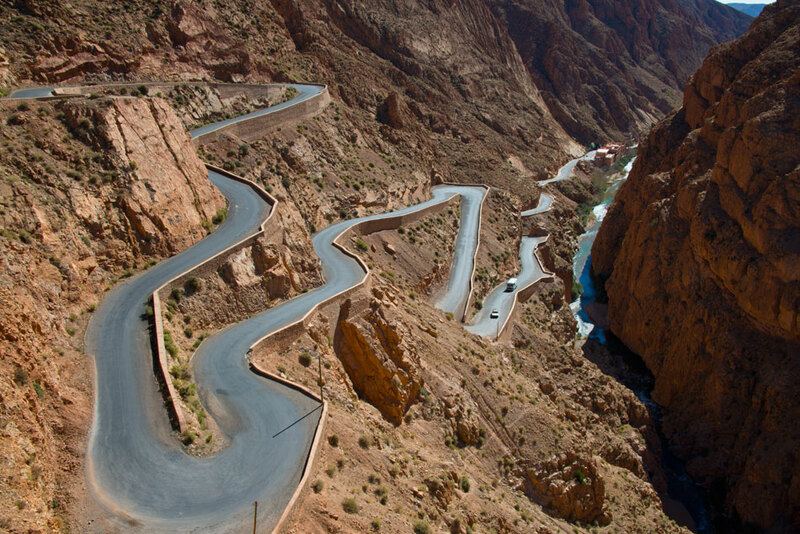 Skoura is one of the safest places for cycling in Morocco. As your Sahara desert tours trip draws to a close, you’ll arrive mid afternoon in Marrakesh and in time to explore the souks and do some last minute shopping. With dusk and then sunset you can explore the spectacle of Jemma El Fna square, a magnet for snake charmers and all kinds of performers. You may wish to treat yourself to the luxury of a Hammam. With a vast choice of Riads, hotels and restaurants to choose from, Marrakesh offers something for all budgets. The evening is the best time to explore the “Red City” at it’s most atmospheric time. 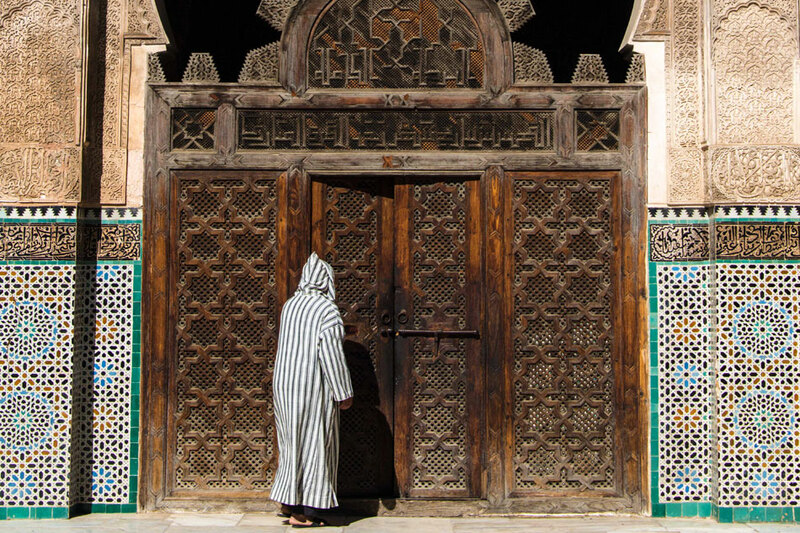 For your final night on your Morocco travel tour, we can propose a night tour which really get under the skin of Marrakesh’s back streets and sense of old world. Call us or email to find how we can assist with your Sahara Desert Tours itinerary.